The group tests the research drone on campus on Friday, June 9. 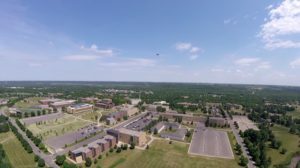 Gustavus Adolphus College geography professor Jeff La Frenierre and student researchers Casey Decker and Abby Michels are heading to Ecuador next week to study glacial melt, but first they put their hexcopter drone through its paces in on-campus tests on Friday, June 9. After placing targets at specified locations around the rugby field behind Southwest Hall, they programmed the drone to fly a raster pattern several hundred feet above and take pictures of the ground below. La Frenierre and his students will be joined by collaborators from the University of Minnesota on Mount Chimborazo in Ecuador, where they will perform the same procedure above glaciers in hopes of learning more about the changes in those glaciers over time. The images will be stitched together and processed with AgiSoft Photoscan to produce a very detailed surface terrain model of parts of two glaciers. 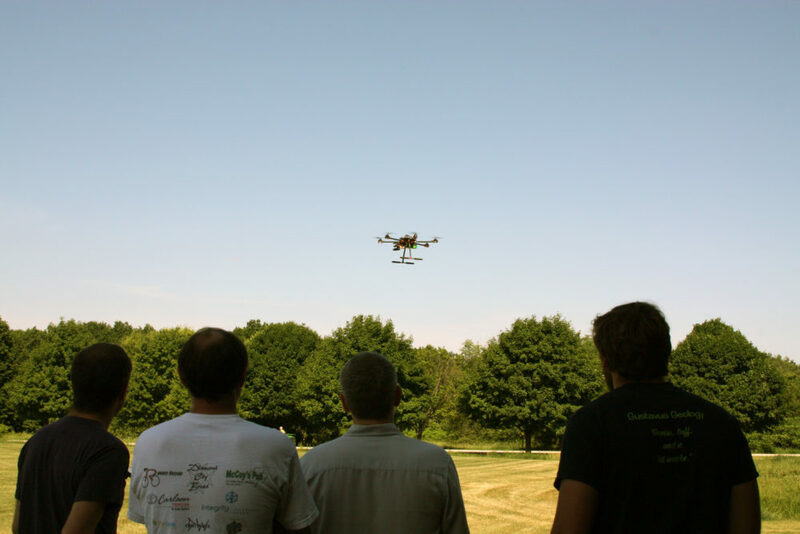 The drone, developed in collaboration with Gustavus physics professor Chuck and Gretchen Niederriter, is a great example of how different disciplines work together to undertake scientific research. A British Broadcasting Company (BBC) crew will be joining the Gustavus and University of Minnesota groups on Mount Chimborazo and will film their work for inclusion in a documentary series called Earth From Space, which will highlight how changes in Earth’s environment can be monitored from satellites. The episode on monitoring glacier change will highlight research La Frenierre has done using satellite and aerial imagery to show that more than 20 percent of Chimborazo’s glacier surface area has been lost since 1986. By filming the work with the drone, they will be able to show how we are moving beyond simply measuring changes in ice area to measuring changes in ice volume, something much more important to understanding the impact of climate change on water supplies in this region. The research drone over campus. 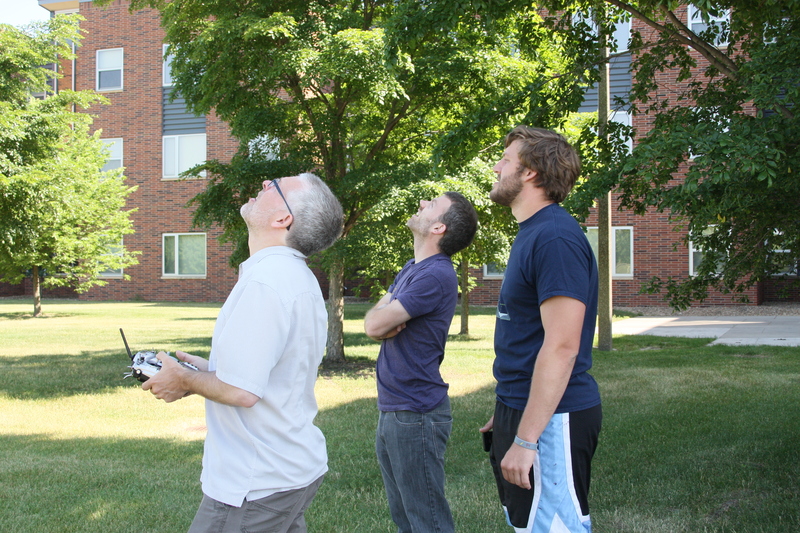 Jeff La Frenierre, Paul Hanson of Gustavus Technology Services, and Casey Decker test the drone.